How Is A Property Tax Bill Calculated? Fair Market Value is determined by reviewing all sales in your neighborhood. Assessors are trained to appraise your property by comparing it against similar properties that have sold in your area. Adjustments are made for physical differences in the properties. 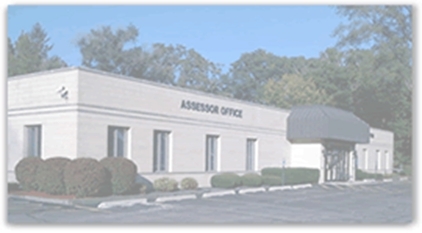 The assessor is required by law to assess properties at one-third of their fair market value. This one-third is known as the Level of Assessment. One-third of fair market value should equal Assessed Value. If assessed values are too low, the county will apply a County Equalizer to all assessments in the jurisdiction to increase all assessments so that they represent one-third of the fair market value. This value is known as the Equalized Value. Some property owners are eligible for certain Exemptions granted by state statutes. Exempted amounts are deducted from the equalized value of the property before tax rates are applied. The value after all exempted amounts are deducted is known as the Billing Value. Local Tax Rate is determined by the combined spending of all taxing districts, including the county, the forest preserve district, townships, community colleges, schools, villages, fire districts, libraries, parks, etc. Each government prepares a budget, requests the revenues needed, and submits the request to the county clerk. The county clerk calculates the tax rate based on their requests. The local tax rate is then applied against all property assessments in the district to produce the Property Tax Amount for each property. Property taxes are determined by the spending amounts of your local governments. Local governments use property tax revenues to pay for the services rendered to the residents in their district.